Depart your local airport for your overnight flight. Meals are served on board. Early morning arrival in Europe where you will board your flight to Split. 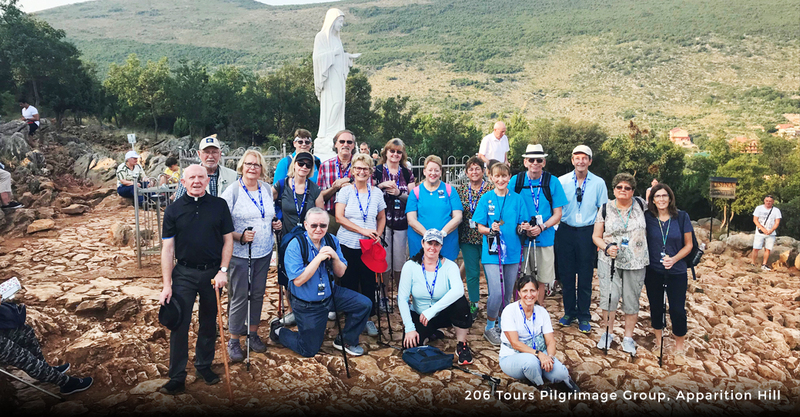 Upon arrival at Split Airport collect your luggage and proceed to arrival's Hall where you will board our private, comfortable bus for transfer for 2-3 hours to the village of Medjugorje. 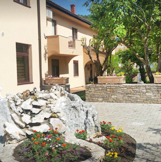 Once there you will be introduced to the Dragicevic Family, your hosts , in whose comfortable, yet modest inn you will be staying for the next seven nights. Enjoy a delicious dinner before retiring for the evening. On Feast Days, and Sundays: English Mass is at Noon. 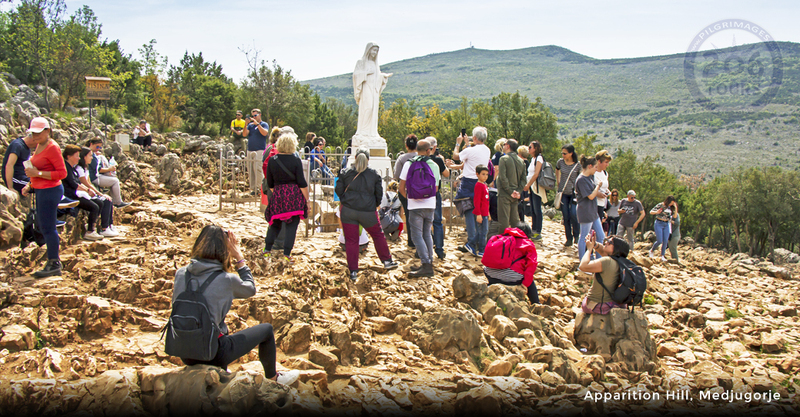 Climb Apparition Hill: This mountainous hill is where the visionaries first alleged encounter with Our Lady. Also, at the base of this hill is a Blue Cross, where it is said Our Lady allegedly appeared to the children while they hid from the communist police in the early days of the alleged apparitions. 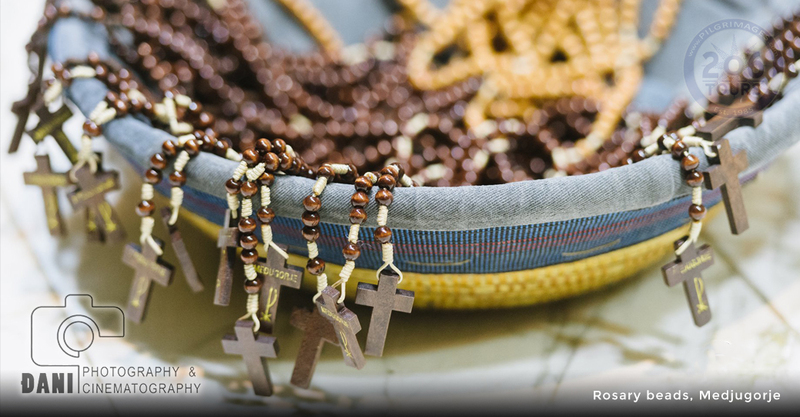 When climbing, your group is invited to recite the Rosary, pausing five times for each decade of the Rosary. 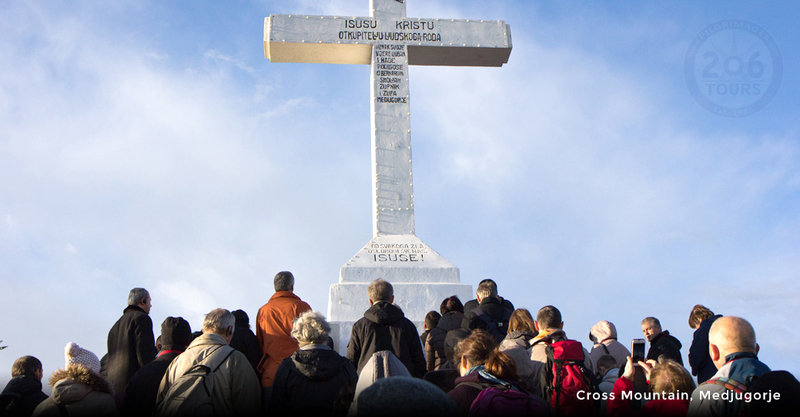 At the top of the hill, you will witness the exact location of the first alleged apparition of Our Lady to the visionaries, and enjoy private time in prayer. 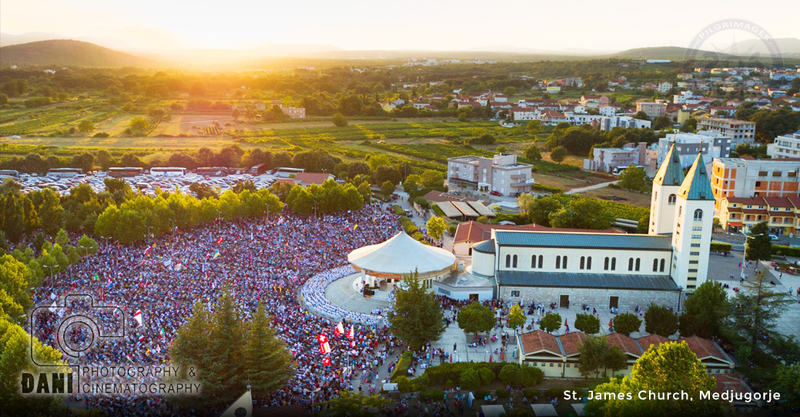 Apparitions: Each evening at 5PM daylight savings time, your group will join the villagers and fellow pilgrims of Medjugorje in saying the Rosary as all anxiously await the alleged arrival of Our Lady to the visionaries. 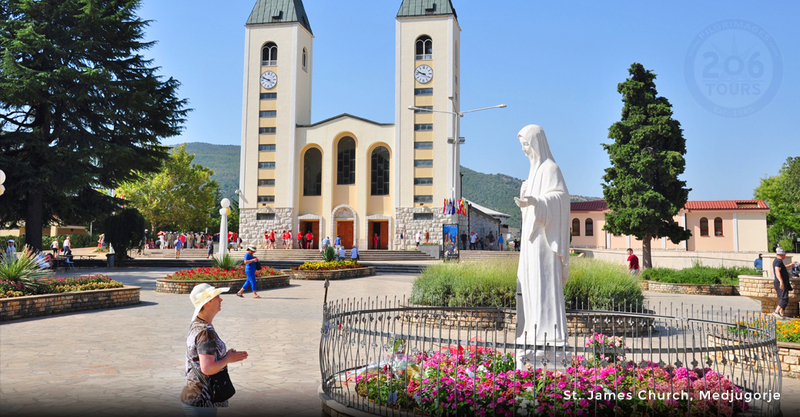 Following the apparition, at 5:40 PM, feel free to stay at St. James Church and attend the Croatian Mass. Following the Croatian Mass, there is a Blessing of the Sick. Adoration of the Blessed Sacrament:Our Lady has always called us to be close to her Son. 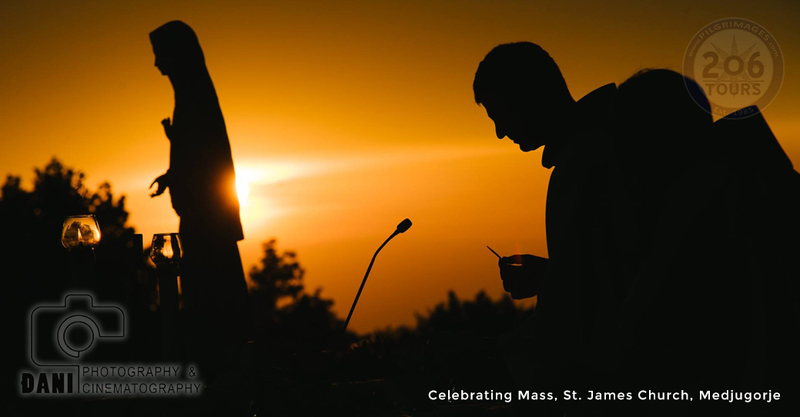 For this, you will have the opportunity to adore the Blessed Sacrament at the outside altar of St. James Church. Adoration is held on Tuesdays and Saturdays; Veneration of the Cross is held on Fridays inside the church. Additionally, there is an Adoration Chapel on the grounds of St. James Church. 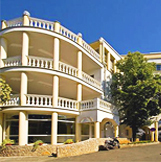 Adoration is held here in the afternoon hours. 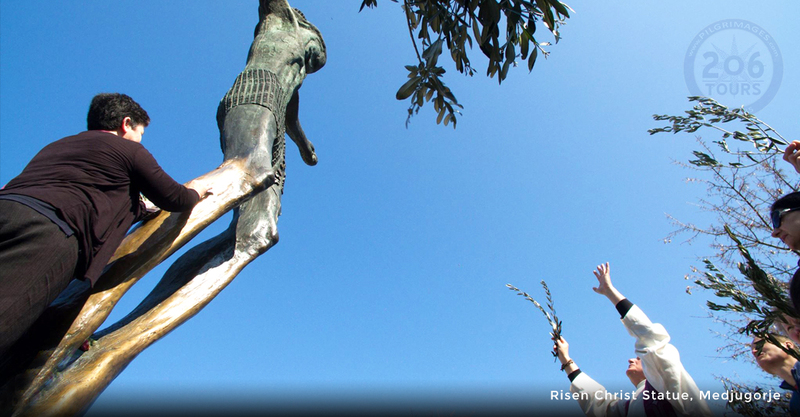 Prayer at the Statue of the Risen Christ:Located on the grounds of St. James Church, is the bronze statue of the Risen Christ. Many pilgrims sit and pray on the benches surrounding this peaceful statue. This statue miraculously seeps droplets of water at all times of the day, out of Christ's right knee. 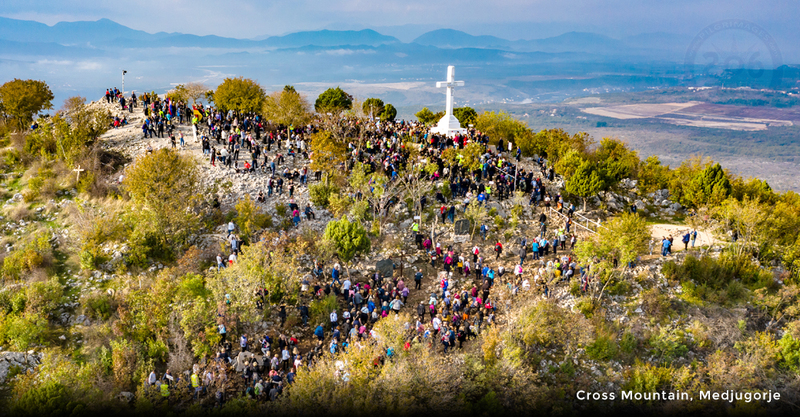 This morning you will be transferred from Medjugorje to the town of Malinska on Krk Island, in the northern Adriatic Sea of Croatia. 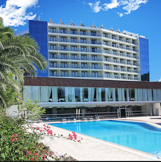 Check-in at Hotel Malin for two nights. 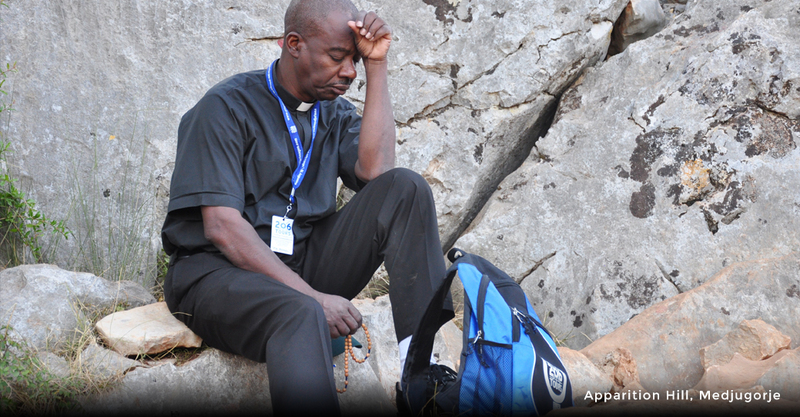 We will attend a 3 day retreat with Fr. Zlatko Sudac, a Croatian stigmatist priest, whose stigmata is in the form of a cross on his forehead and the wounds of Christ on his body. Fr. 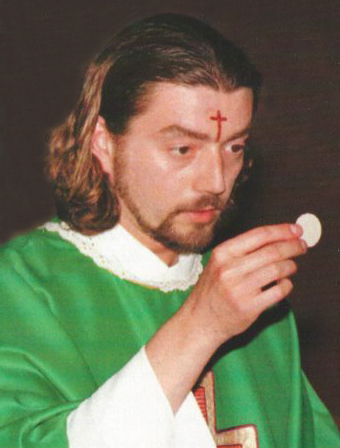 Sudac received the cross on his forehead in May 1999, 11 months after his ordination, and the rest of the wounds in October 2000. As anyone who has ever encountered Fr. Sudac can attest, an encounter with him is a powerful and life changing experience. Though he has many gifts of the Holy Spirit, one of his greatest gifts is the gift of preaching, through which it is always his intention to lead souls deeper into the heart of Christ and the Church. Retreat begins Friday afternoon followed by the dinner. Breakfast followed by Fr. 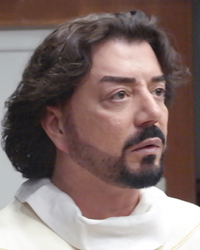 Sudac, healing and deliverance prayers, Holy Mass. Lunch and dinner are included. Breakfast, Holy Mass. Retreat concludes with lunch and transfer to Zagreb. Check in into your Hotel. Overnight in Zagreb. After an early breakfast and heartfelt farewells, we leave by motor coach for Zagreb Airport for return flights home.